Avast, a global leader in digital security solutions, has announced an increase in attempts to infect Russians’ browsers with so-called cryptojacking malware in September. In just a month, about 5.1 mio such attacks were recorded in Russia, as confirmed by an Avast study. The study has revealed an interesting trend: the frequency of cryptojacking attacks (unauthorized cryptocurrency mining) appears to rise and fall following the fluctuations of Bitcoin and other cryptocurrencies. In September, cryptojacking activity surged on expectations of a rise in the cost of cryptocurrency by yearend, according to Avast experts. In December 2017, when the cost of Bitcoin reached its historical high, about 34 mio Russians were attacked by illegal mining malware. In November 2017, the number of such attacks was even higher, over 40.4 mio. Respectively, falling cryptocurrency leads to a decrease in the number of such attacks – only 1.7 mio cryptojacking cases were recorded in Russia in August. According to Avast’s Threat Intelligence Director Michal Salat, 82% of Russians have heard of cryptojacking, while 59% fear this virus. The likelihood of exposing cryptojacking crimes is minimal, so hackers take virtually no risk, he added. 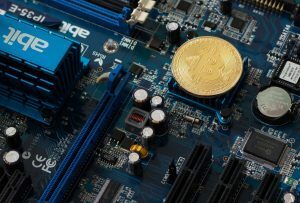 “However, the rise in the cost of mining and, as a result, a decrease in its popularity should help reduce the number of such attacks in the future,” the programmer believes.